It has been a very good year for tech in New York, and we’re talking about across all of the many verticals for which New York is known – and then some. 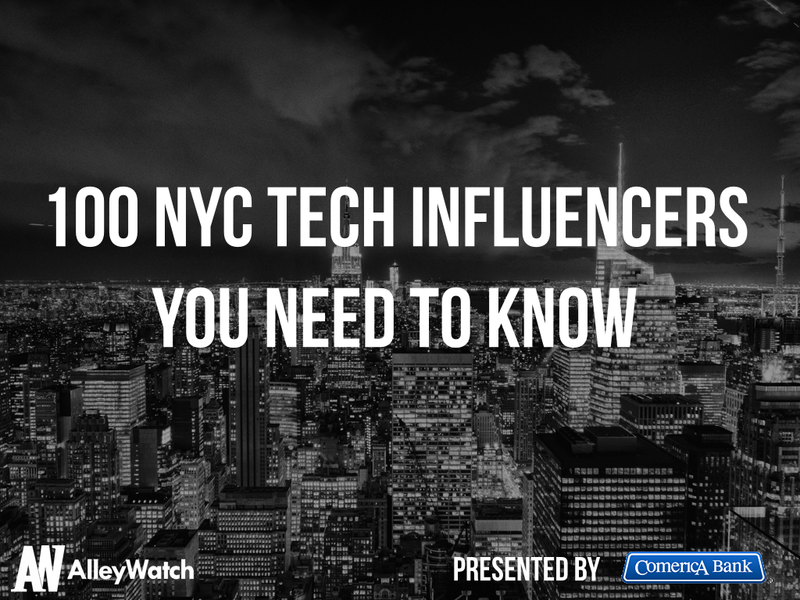 Whether it’s AdTech, Fashion Tech, EdTech, FinTech, or HealthTech; IoT, Hardware, Apps, content or Big Data, New York is influencing technology and businesses all over town and around the globe. We‘re a 24/7 business in a 24/7 town. And then there are those people who seem to always be out there in overdrive and working overtime, who keep the city on the map and in the zeitgeisalleyt. They’re the people who are building companies and creating jobs. Connecting people and connecting the dots. They’re making things and making a difference, some in front of the cameras and others behind the scenes. Meet the 2014 AW 100 Influencers who, directly or round aboutly, are helping us all get the job done. Founder’s note: As always this list is in no particular order nor is it a ranking. In fact, the =RAND() function on excel was used to determine order.